Iran sentenced three people to death for corruption on Sunday, in the strongest warning yet to officials and merchants not to exploit the country’s financial troubles as the next round of U.S. sanctions loom. The verdicts come a day after the central bank was given more powers to intervene in the currency market to help stop a slide in the rial that has gathered pace since the United States in August reimposed a ban on the Islamic Republic trading in U.S. dollars. The next round of sanctions come into effect on Nov. 4 and target Iran’s exports of crude oil, its main earner of foreign currency. Though some major importers of Iranian oil have already announced that they would phase out purchases, inflows of foreign exchange are expected to decline even further when the embargo formally resumes. Mindful of growing public anger over the deteriorating economy, the government embarked this year on a drive to root out corruption and punish speculators it blames for exacerbating the currency crisis. The investigation, led by the judiciary, targets companies and government officials suspected of receiving kickbacks on foreign import licenses or manipulating the currency market. The judiciary announced last month that at least 120 people, including state employees, had been arrested so far. 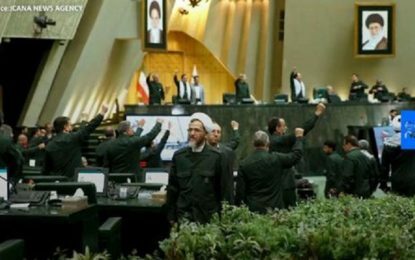 The death sentences announced on Sunday still need to be ratified by Iran’s highest ranking court, the state-run Iranian Students News Agency quoted judicial spokesman Gholamhossein Mohseni-Ejei as saying. Mohseni-Ejei said 35 people have been charged so far in the crackdown and most have received jail sentences. The three individuals sentenced on Sunday have not been named and specific details of their charges have not been publicized. As Sanctions Hit, Iran’s on the Verge of Economic Breakdown. 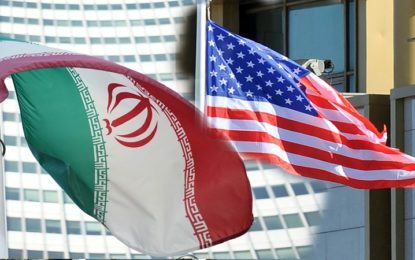 Nov 26, 2018 Comments Off on Iran’s regime could fall apart. What happens then?